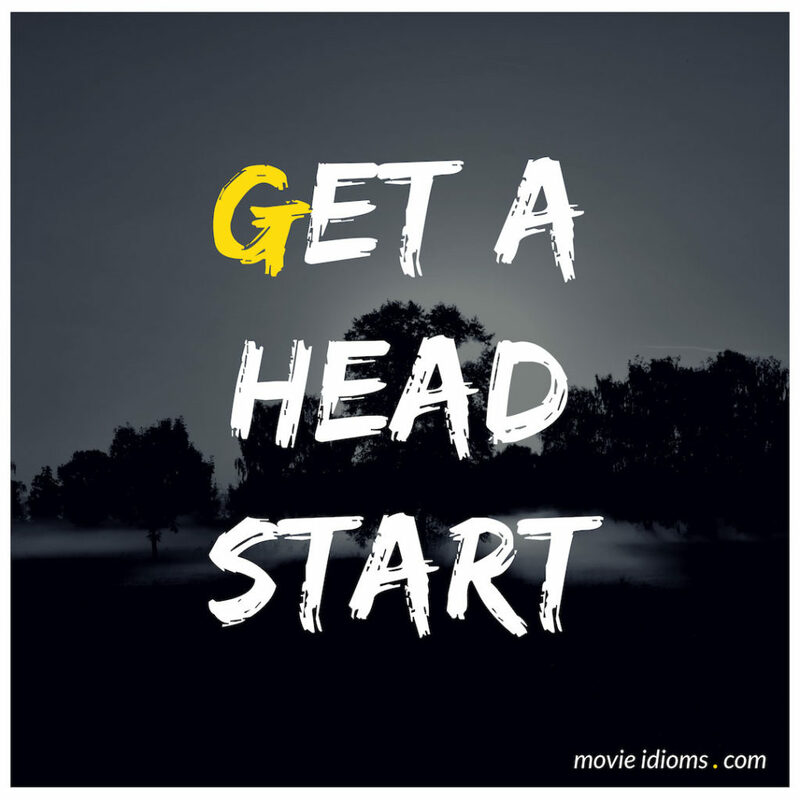 What does get a head start mean? Sundog/George Washington Lincoln Brown: Take it easy, kid. Take it easy. You have a lot of potential for a rookie, but damn you’re ragged. Constable Alvin Adams: What do you mean, ragged? Sundog/George Washington Lincoln Brown: Look, if you’re in a do-or-die contest for big stakes, you let the other guy get a head start on you. Take small swigs and hold your breath, huh? Then it looks like you’re getting ahead. When you see it’s starting to circulate on him, then its time to bust it down. Carly Shay: I’m leaving in a few minutes. Freddie Benson: Yeah, I know. Better not be late, or your dad’s gonna be wazzed off. Carly Shay: You know, you don’t have to take all your tech stuff home tonight. Freddie Benson: Yeah, but I figured I might as well get a head start. Tomorrow, I promised Gibby I’d help him do some research on the proper care and feeding of weasels. Shane Walsh: Those windows, what’s on the other side? Otis: About a 20-foot drop with nothing to catch you. Maybe some bushes, then the athletic field. Shane Walsh: We just need enough time. We got to get up there. We got to get ’em open and get out. Otis: Not me. Maybe you. Shane Walsh: Hey hey hey. Otis: Come on man, look at me. You really think I can squeeze through one of them tiny windows? They’d be all over us. Look. We lay down some fire to get a head start. You stay here. I hop down and draw them away. That gives you the chance to get up the bleachers and out a window.